The Colorado Quartz mine is located in west-central Mariposa County, California, 11 miles north of the small mining town of Mariposa. The property is just over 11 acres. The town of Mariposa became a mining center and boom town during the great California gold rush. During this era the Colorado Quartz mine was discovered. 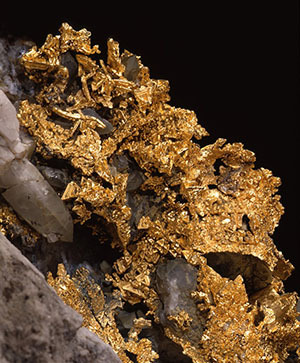 While there were other mines that deserve attention and were on the same “Colorado Dyke” gold vein, it is the Colorado Quartz and the Mockingbird mine that are famous for producing some of the finest crystallized gold specimens ever found. Notably, The Dragon and the Cobra. The first history of the Colorado Quartz mine appears on February 1st, 1875, when a patent application for the land (a 1,250x400-foot parcel) in what was known as the Mariposa Quartz mining district was filed by John A. Bataille. The mine was sold in 1885 to a group of three families from the Mariposa area and remained in their hands until it was once again sold in 1974 to David A. Grimes Sr. who formed the Mariposa Mining Company. Grimes wasted no time and began sinking a new shaft in a gully some 1,500 feet from the original Colorado mine in the hope of intersecting some of the old tunnels. Instead, he encountered the Artru workings along the Colorado dike, an area that was known in the Mockingbird mine for crystallized gold. Grimes found his first pocket of gold late in 1974, and sold his findings for bullion value. Grimes soon sold the mine but his work continued and approximately 350 ounces of gold was discovered in 1976. 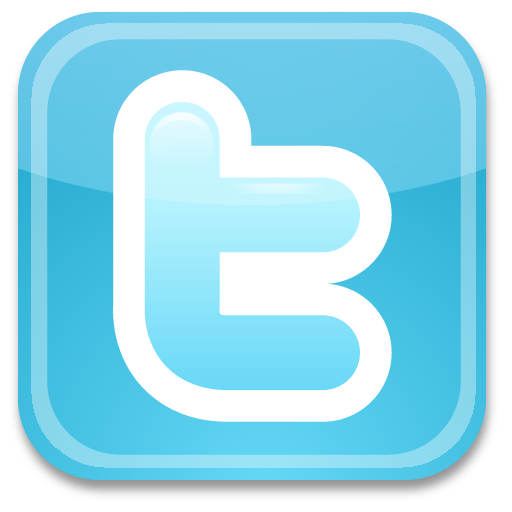 Due to Grimes not being pad his royalties, he soon regained ownership of the mine in 1977. Grimes did find more gold pockets but the mine was sold once again. The mine had a checkered history until 1988 when it was reopened by Larry Lehto. The mine was worked intermittently when funds would allow. 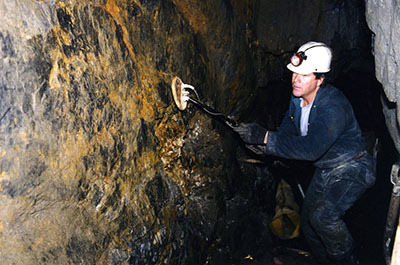 In 1994, Lehto added John Emmett (owner of the Mockingbird Mine) as an investor and the mine was opened full time. 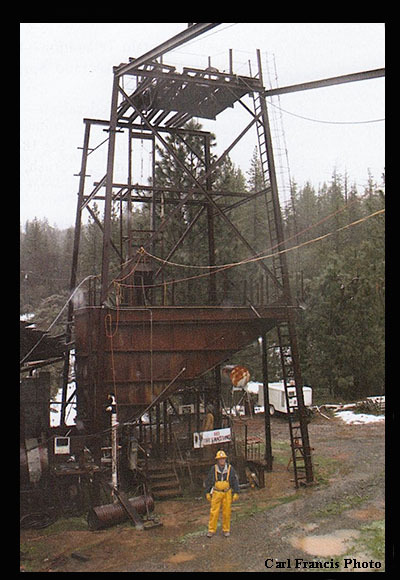 The mine was deepened and at the 140’ level, some terrific gold pockets were hit, including the pocket that produced the famous “Pocket Piece” containing 40 ounces of gold. 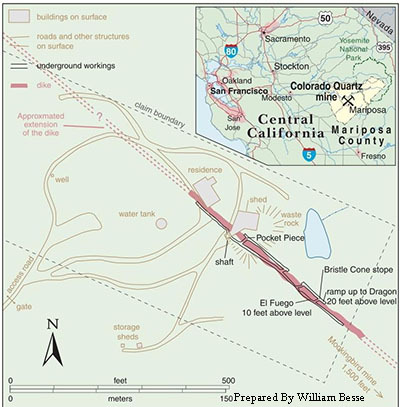 Additional investors were added and the mine continued along the 140’ tunnel and there efforts paid off when another pocket was hit in January 1998. This new zone produced the famous “Dragon” specimen, which was found in the wall of a raise using a metal detector just after a blast. The specimen changed hands several times but is now in the Houston Museum of Natural Science alongside the “Pocket Piece”. 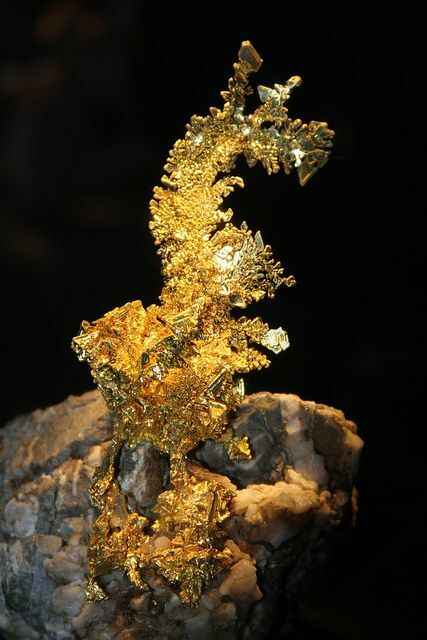 The "Dragon" is arguably the most famous crystallized gold specimen and at 18 cm tall, the roughly 7 ounces of contained gold is the most valuable ever found.